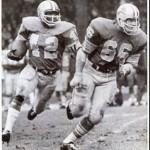 Bob played 124 games in an illustrious eleven-year career with the Detroit Lions and Green Bay Packers. Started all games in rookie year of 1966 and was named to the All Rookie Team after being drafted in ’65 for future delivery. Started pro career at left guard and switched to right guard in third year. He missed 16 games in 1969-70 due to knee operations. He started all 14 games in 1975 at right guard for the fourth consecutive year. He led offensive players in minutes played in his last year for the third straight season. 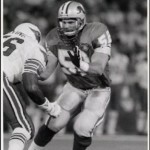 Ranks 13th all time in Detroit Lions history in games played. 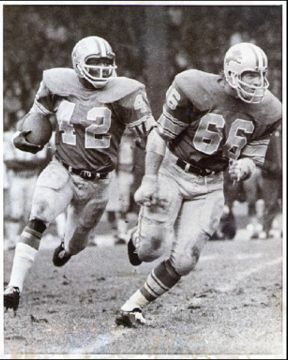 Bob was active in area civic projects and voted Lions’ Man-of-the-Year in a NFL contest. Outstanding college player at Virginia from 1961 to 1966 as a two-time captain. In his storied career, he was an All-American Tackle twice and in his senior year he was an Academic All-American. Bob passed away in September, 2009. He is survived by his wife Judy, his son Scott (Michele), his daughter Robin and his granddaughters Emma and Olivia. Bob had a huge heart and always wanted to help people. Starting this golf outing was his way to help people in need. The KOLO board members are committed to moving forward with what Bob started 34 years ago. Scott was a durable player for eleven seasons in the NFL. He filled a variety of roles for the Philadelphia Eagles and the Detroit Lions. Mostly known for his special teams play, Scott also played nickel linebacker on other situational downs. He filled in as a starter at all three linebacker positions over his eleven-year career. He has accumulated 133 special teams tackles, the most of any player during that span of time. Scott was named special teams captain, a role he carried during his time with the Detroit Lions. Scott was named All American honorable mention his junior and senior years. He played in every game for four years, the only player to do so at that time. While at ND the Irish won the National Championship in 1988, and competed for it in 1989, and 1990. Scott is married to Michele. They have 2 daughters – Emma and Olivia. He is very active in the community supporting many local charities. His hobbies are, golf, hunting, and fishing. 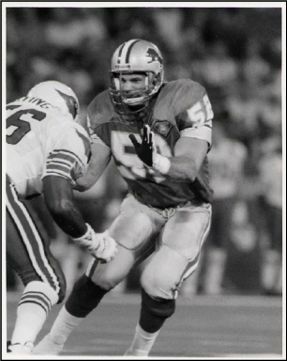 Scott’s cousin Brock Olivo also played for the Lions.